Coca-Cola plans to cut 1,600 to 1,800 jobs across the globe as it seeks to save $3 billion in costs in the coming years. Cuts to Coca-Cola’s workforce were anticipated, but just how many was unknown until Thursday’s announcement, according to the New York Times. The company has 130,600 total employees worldwide, according to the latest figures from more than one year ago. Like other major soft drink companies, Coca-Cola has had to adjust to a more diverse and at times more health-conscious market. For instance, last year, Coca-Cola invested a minority stake in coffee company Keurig Green Mountain. A lower-calorie soda, named Coca-Cola Life, has been sold in the United States since September 2014, marking the company’s foray into a more “natural” soda produced with both sugar and stevia, a sugar substitute. Meanwhile, rather than cutting prices of its core soft drinks, the company has tried to sell smaller-sized drinks at higher prices while reducing some marketing expenses. The company also offered cans and bottles with personalized names printed on them, called the ‘Share a Coke’ campaign. 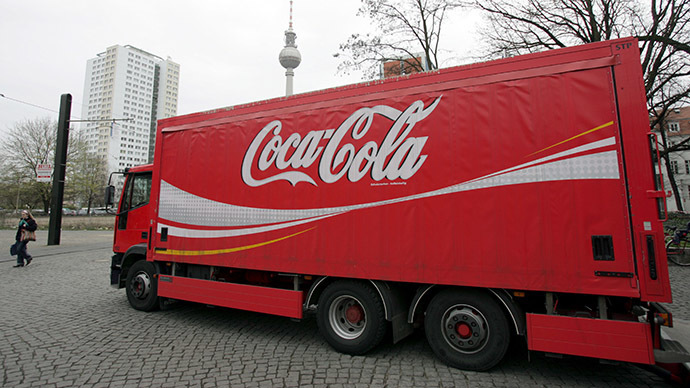 In the quarter that ended Sept. 30, Coca-Cola’s net income fell 14 percent to $2.1 billion. “We continue to face a challenging macroeconomic environment, more challenging than was expected at the beginning of the year,” Muhtar Kent, chief executive of Coca-Cola, said at an investment analysts’ conference in October, according to the Times.